Rhone Alpes, located in the Southeastern part of the country is indeed a very fascinating French region. Due to its location on the borders with Italy and Switzerland, it offers a varied landscape. The region truly boasts some of the most breathtaking sceneries of the world. 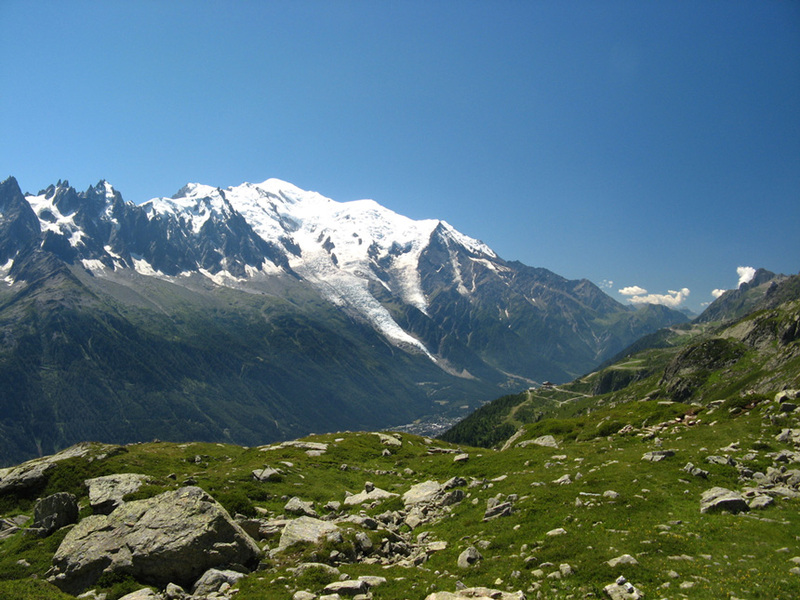 The mountains rise from Lake Geneva to the higher ice-capped tip of Mont Blanc, Europe’s highest peak. During winter, the world here is snow-capped and absolutely white, with everyone heading up to the ski-slopes. However, it is a totally different world here in summer, with meadows filled with flowers and lakes with cool, fresh waters that tempt the hiker. The region has many National Parks including the Parc National De La Vanoise, which has everything you would seek in a natural environment – mountains, glaciers, steep valleys. The park has over 500 km of marked trail paths for the insatiable walkers. The region is very popular in every season, with holiday homes guaranteed rental income all year round. In the interior, villages such as Haute Maurienne have preserved their traditional way of life unchanged for centuries. The Beaujolais area, which lies North of Lyon, is occupied by forests and pastures and is popular for its wines. The vineyards are mainly concentrated along the narrow strips on the right banks of the River Saone. Apart from olive oil, many oils like almond oil, pine kernel oil and pecan nut oil are also produced in Beaujolais. People who love the outdoors, mainly cyclists, walkers and canoeists can take refuge in the Ardeche departments, which are comparatively less explored. In the deep chestnut forests here one can find eagles nesting among the cliffs. In the Middle Ages, the Royal authority prevailed over the Rhone valley. The Savoie Counts controlled the Higher Alps while the Dauphins’ held the Dauphine area. The marriage of a Dauphin to the daughter of a Savoie Count in 1268 created a temporary union of the two regions. When the last Dauphin sold the land in 1349 to the French king, the title of ‘Dauphin’ was since then used only for the heir of the French crown. Savoie was added to Piedmont , an Italian province in the 15th century, forming the dukedom of Savoie. In 1481, King Louis XI inherited Savoie and for a considerable period, the area alternately changed hands between France and (not sure who). The religious wars of the 16th century were very devastating and the entire towns of Dauphine and Vivarais were completely destroyed. Dauphine lost its autonomy in 1628 and Savoie came under the French crown again in 1748. Savoie in 1815 became the property of King Victor-Emmanuel I until an 1860 plebiscite approved its union with France. The university city of Grenoble has art and folklore museums and is ideally situated on the Drac and Isere rivers. The commune of Grenoble is surrounded by mountains and is popular for its glove making. Nowadays, the town is an important nuclear research center. It also has good festivals all through the year, like Jazz in March, Rock in June followed by the European Theater Festival. It has a lot of immigrant workers, several foreign companies and a huge student population, providing an excellent cultural mix. It was the site of the 1768 Winter Olympics. The Forte de la Bastille, which was a prison in the past, provides a panoramic view of the Alps by a cableway from Quai Stephane-Jay. Close by is the Church of St. Laurant built in the 11th century and restored during the 16th and the 17th centuries. The church stands above a lower church of the 6th century Merovingian crypt. Chambery is another important art and history town with several old streets and notable historical buildings. Chambery is also a main gateway to Italy and thus, has a clear Italian flavor. It is filled with ancient attractive streets like the rue de Boigne, which leads to the Fontaine des Elephants, embellished with bronze heads of elephants. Here the 14th century Chateau des Ducs Savoie served as the home of the Savoie dukes. Chartreuse is another important city, the home of the first Carthusian Monastery, founded in 1084 by Saint Bruno. The town is also popular for its distilled liquor.